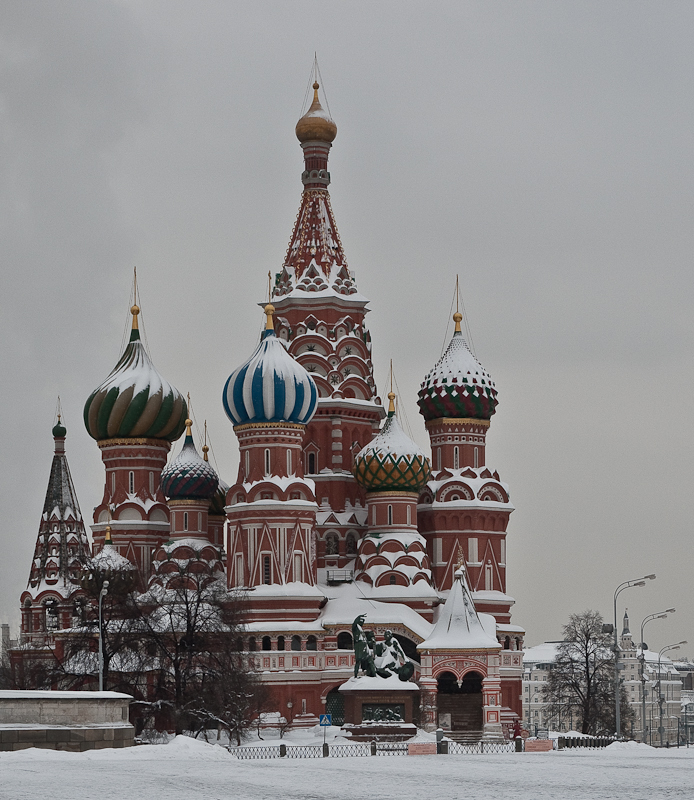 Nine churches in one location; that used to be the St. Basil’s Cathedral in Red Square, Moscow. Built in the 1550s, this building is no longer a church (as far as my understanding goes) and is the centre of attraction for anyone visiting the Red Square. We did the pilgrimage too and it was time and effort well spent. This building that looks like a collection of lollipops looks awesome in winter with snow-capped roofs. This picture was taken just before we left the Red Square. At the time we arrived, this place was filled with tourists and one could hardly get a decent photo without someone distracting the picture with their presence. After our visit, we went over to a cafe nearby (rather inside the Red Square itself) and when we stepped out, we were surprised to see the square empty. I believe some politician was about to visit and they cleared the place for security reasons. Time to get the camera out and we shot some decent images without any people in it. But unfortunately we couldn’t be bang in the centre to get the building in the right perspective. Nevertheless, this was one of my decent shots. I didn’t realize the lack of people. Just wish the skies were nicer. Say a trip in summer to get it with blue skies!